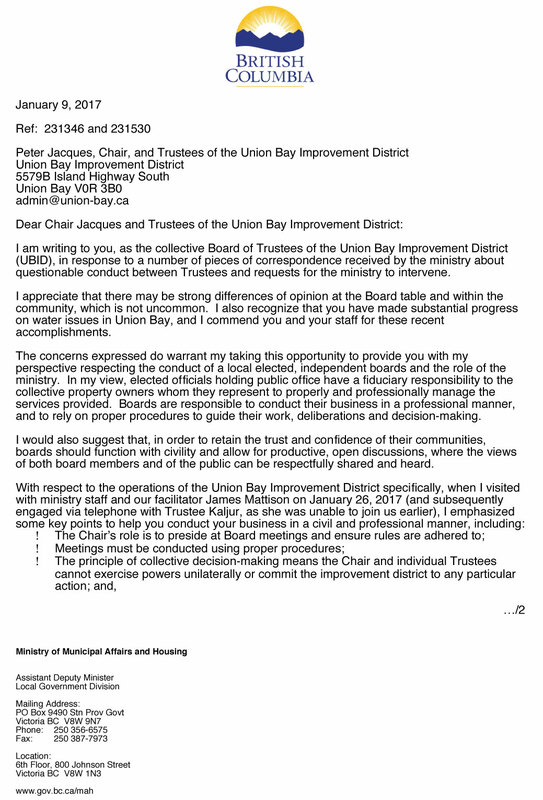 What is preventing the Union Bay Improvement District board from functioning or improving? The Administrator with zero government experience. Election is over for another year. 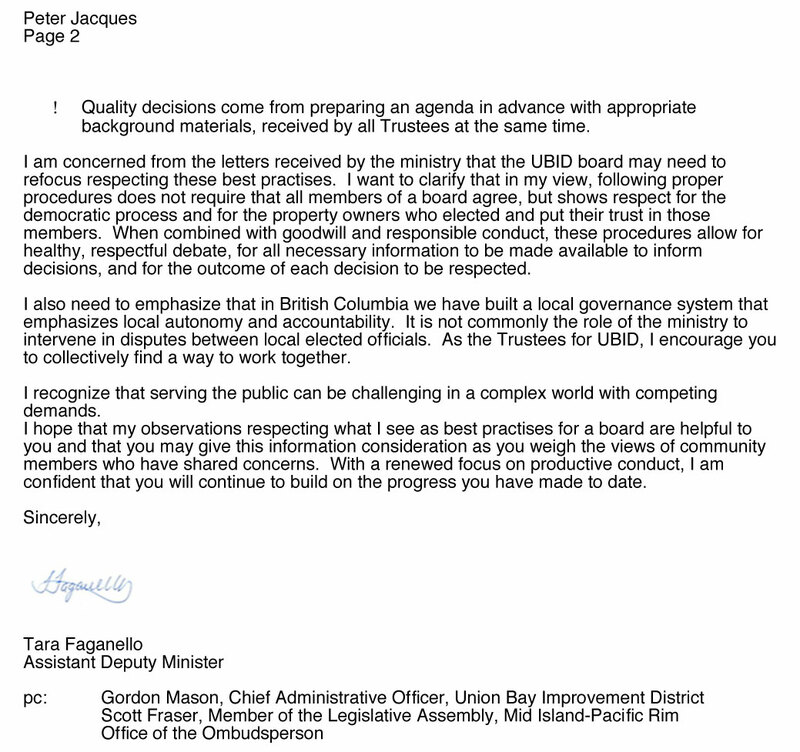 Time to get back to the problems with the Union Bay Improvement District. Improvement Districts are set up with staggered elections so there will always been experienced Trustees on the board at any given time. The new trustees benefit from the knowledge of those trustees. That didn’t happen here and no matter how good the intentions are of these trustees – they are not going to learn anything until there is qualified advice provided to them. The Administrator is the one constant and is depended on for information regarding government guidelines and procedures so that there is consistency and accuracy in all the decisions made by this governing body on behalf of the landowners. An experienced Administrator is essential for the Improvement District to function efficiently. The Administrator’s job is to ensure the Improvement District is run according to the guidelines/rules/regulations/bylaws set out by the Provincial Government. How can anyone (no matter how great they were at another job) run an Improvement District as an open and accountable government body when they have no idea what that involves? The Chair now defines questions directed at the Admin as harassment. There is no where to go but down with this attitude. Why don’t they attempt to follow the suggestions from Tara Faganello? 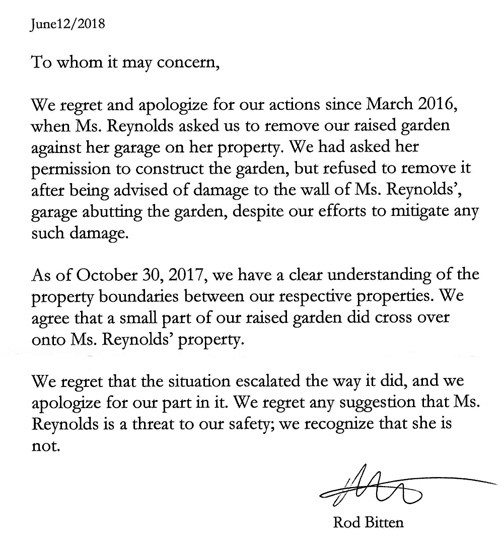 Notice they haven’t posted her letter on the UBID website. It is a great letter – all landowners should read it to know what to expect from those we elect.